"I will only hire someone to work directly for me if I would work for that person. "It's a pretty good test and I think this rule has served me well." "Facebook is not a company for everyone in the world." Mark Zuckerberg, who is worth around $35bn, was speaking at a question-and-answer session the Mobile World Congress in Barcelona. 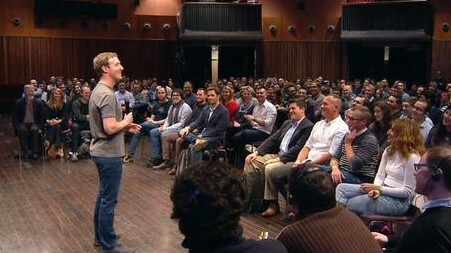 Mr Zuckerberg said: "The most important thing is to keep your team as small as possible. "Facebook serves more than a billion people around the world but our team has fewer than 10,000 people. It's only possible because of modern technology. Big companies get bloated." He told the audience he considered her a mentor who had helped him create a "healthy organisation".